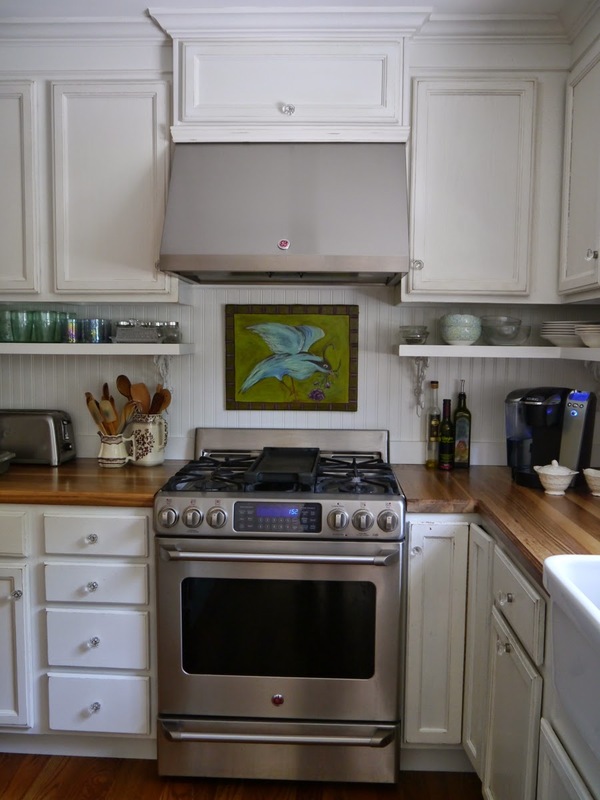 Cynthia Cranes Art and Gardening Goodness: Part 1: My Dated Ranch Home Kitchen Gets Some Fresh New Cottage Style! 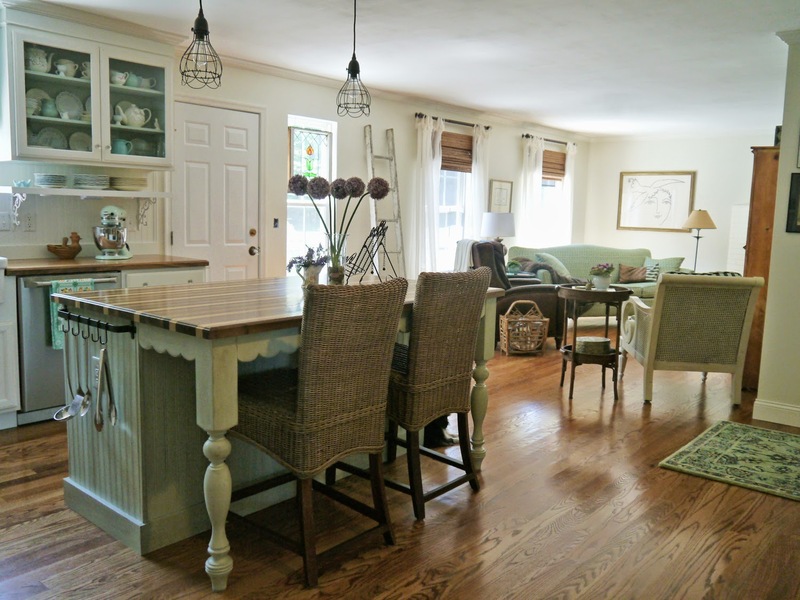 Part 1: My Dated Ranch Home Kitchen Gets Some Fresh New Cottage Style! This, my friends, is a classic story of turning an ugly duckling into a swan. After a few teases in former blog posts, I'm thrilled to announce that my kitchen renovation is finally complete! 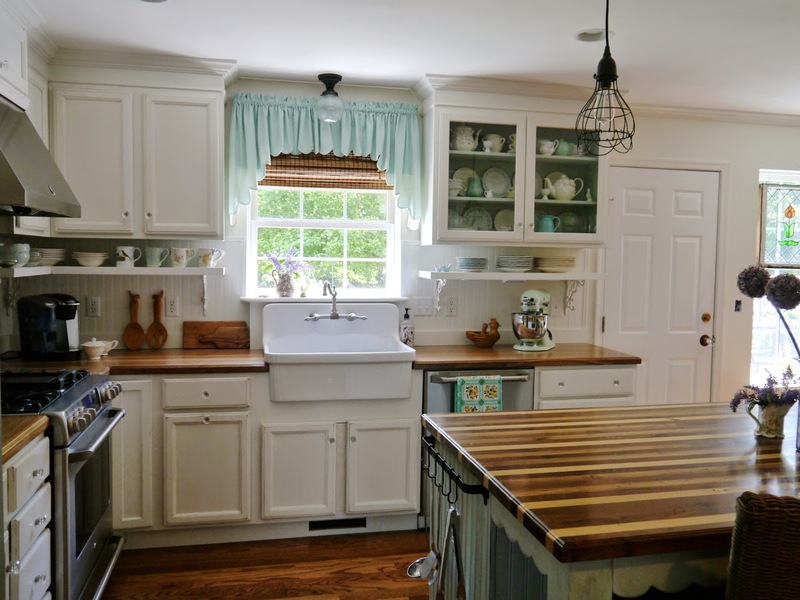 I am delighted to share with you here some of my budget-minded solutions for giving a dated kitchen fresh new cottage style. I'll be posting the details of this project over several posts, this post being Part 1, but first I want to share a little back story of how this crazy 18 month renovation came about. So fix yourself a cup of tea, cozy back into your chair and take yourself back to October 2011. 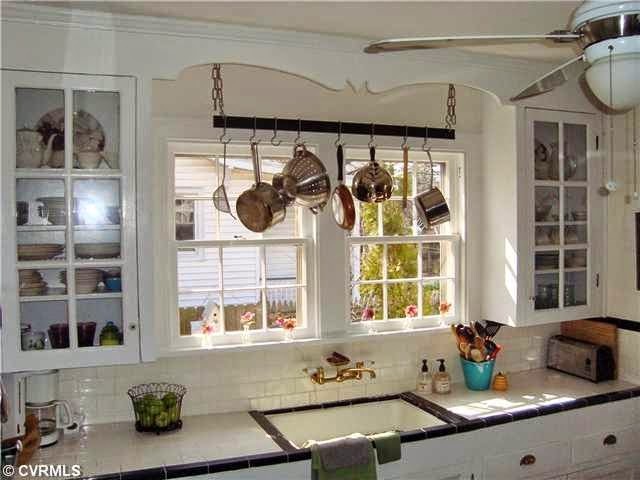 My kitchen in my previous home, a 1937 cape, original to the home - SWEET! Only 10 ft x 10 ft - A place for everything and everything in its place! 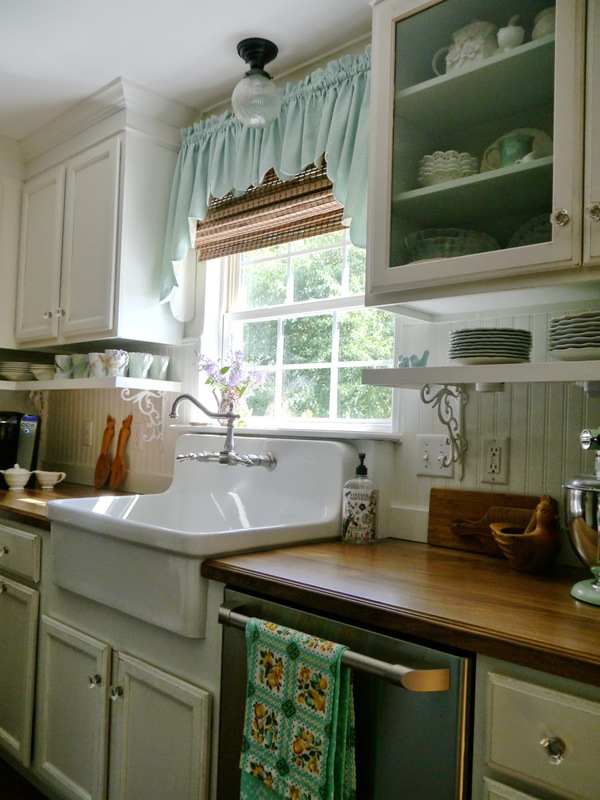 The above 2 photos are of my sweet cottage kitchen in my former home, a 1937 cape in a historic city neighborhood. 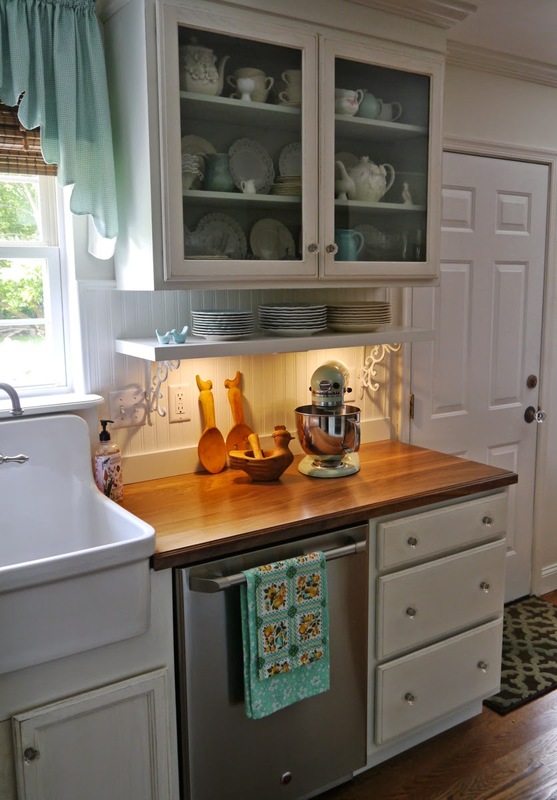 The kitchen was only 10 x 10, and it was original to the home, and OH how I LOVED it! 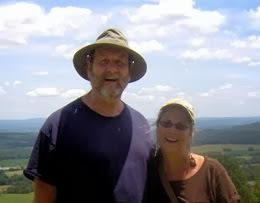 Then one night in October 2011 my husband came home in the middle of his graveyard shift with news that, after 32 years, his plant was closing in December. But happily by mid-November the new owner of the company offered him a transfer, then after nearly a year of house hunting we finally settled on a home in our new location. And when I say "settled" I do mean SETTLED! There were no 1937 capes to be had here, let me tell ya! Yoohoooooo! 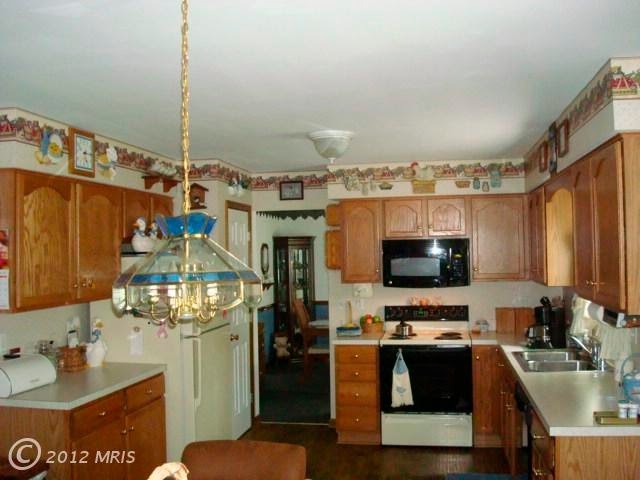 1984 called and wants its kitchen back....will say no more on THAT subject, and will simply let the photos speak for themselves. After months of house hunting we ended up purchasing our little rancher under budget but with great potential and in a great location. Thus began the biggest renovation project we have ever endeavored. I was homesick as could be for my former home and my consolation was going to be creating my dream kitchen. Our main goal was to open up the floorplan in the main living spaces of our home, and increase the size of the kitchen to allow space for an island. Our home is your typical long narrow rancher with a hallway running right down the middle from bedrooms on one end to the family room on the other. There was a wide foyer that led to the hallway, then you had to turn either left or right. 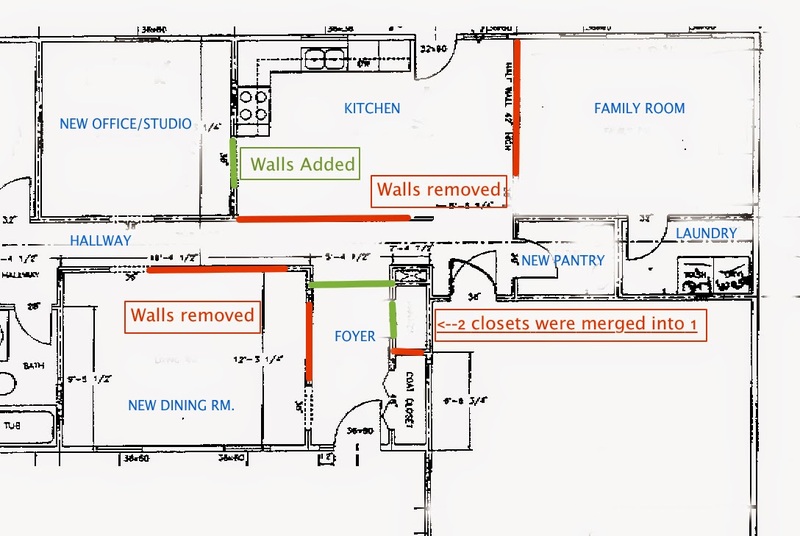 So to open up the space we removed (red lines) the hallway wall at the kitchen, which increased our space by 42 inches. Then we closed off (green lines) the doorway leading to a small dining room and placed our fridge there. There was a formal living room just off the foyer, which is now our new much larger dining room. We also removed walls here to open up that space. Have to go through a little ugly to get to the pretty! We had a bit of help from a couple of laborers we found on Craigslist, thank goodness! We're in a new town - no family and no friends. 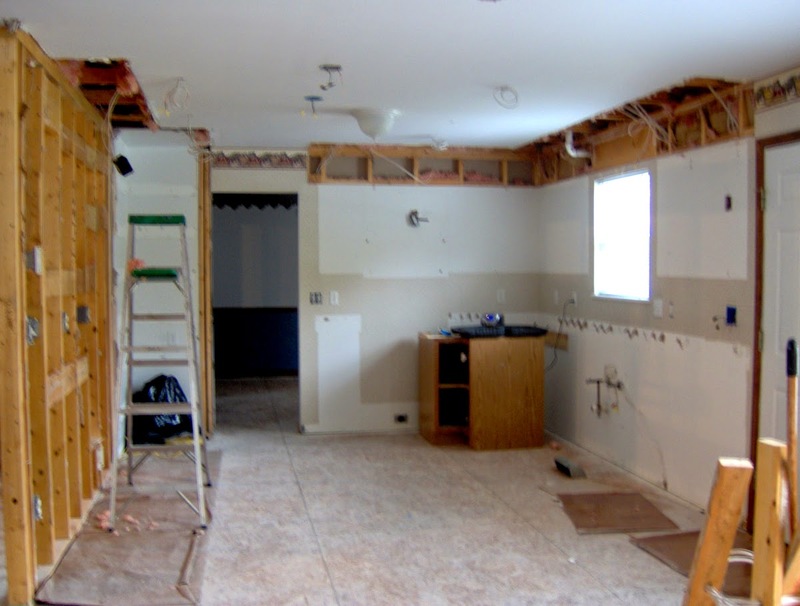 They did all our demolition work, including removing the bulkheads. So once the bulkheads were gone we just painted and remounted our old 36 inch cabinet boxes about 6 inches from the ceiling and had crown molding installed. The upper cabinets were given new doors and there was now room for a few additional cabinets as well. The old sink and several of the lower cabinets and countertop were moved out to the garage for my new pottery studio. 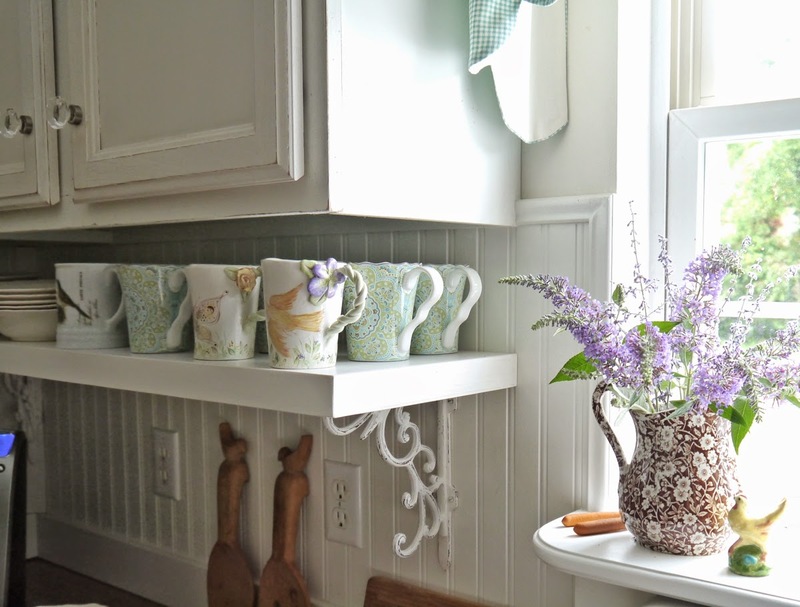 Raising the cabinets allowed for space below to install shelves supported by iron brackets. Papa Crane and I made the shelves ourselves from white laminated shelving material we purchased from a local home improvement store. We finished the edges of the shelves with lattice strips which created a recess underneath for lighting. We also installed the beadboard backsplash - but that's about the extent of our expertise when it comes to carpentry. Well, except we did make the island, too, which we'd done before and really isn't difficult. I'm going to save the details on that for a future post. I had a bit of a quandary about what do above the range, so last week I decided to just add a door. We had the range hood installed to vent through the roof so there really isn't any space there. Our countertops are walnut and were made by a local artisan. I really really wanted marble, but by the time I got to this stage it just wasn't in the budget. The walnut was actually very economical - surprisingly much much less expensive than a lot of other options. This Blueberry Cake is to die for! I ate 2 pieces when it came out of the oven this morning - contact me for the recipe! 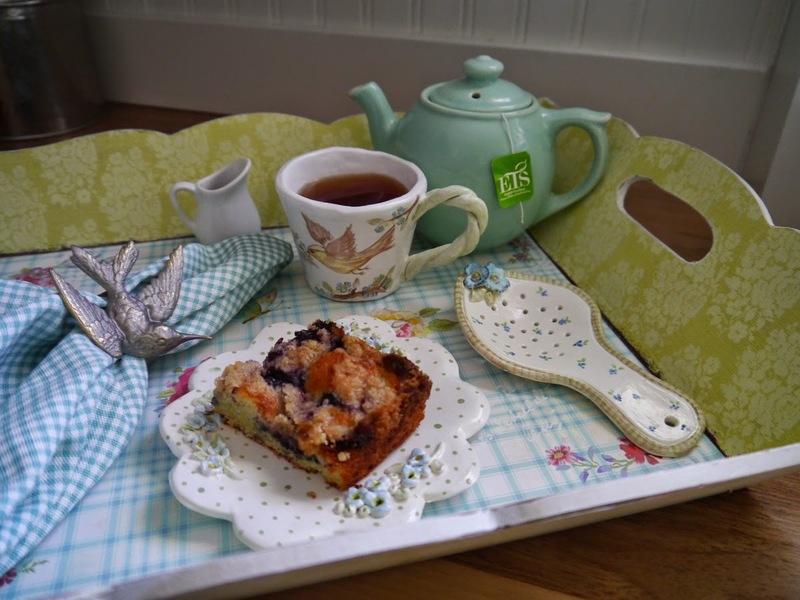 And besides, I didn't want anything glamorous for my kitchen - I wanted a homey space that would feel warm and cozy - a place where my guests would feel welcome to have a little sit down and enjoy a cup of tea and a piece of homemade blueberry cake. I do believe the wood countertops do a good job toward that end! New open floor plan with kitchen/family room combo. So here you can see a view of the other end of the space where the family room is located. Removing the half wall between the two rooms made a huge difference! That's all for now, but I'll be posting more photos and details on my renovation soon, including how we made the island and the butler's pantry. I hope you've enjoyed this little tour of my new kitchen and have learned a thing or two. Please feel free to email me with any questions, or just comment below and I'll be more than happy to respond! It is a FABULOUS remodel! I love the sink, curtains,center "island/dining area" and the chairs you chose are perfect against all the white in the room. Cheerful,cozy and cottage. Great job! I am reminded of my parents moving into a cookie cutter suburban home back in the 60's.. not mom's style at all. As soon as they moved into this newly built home, they were knocking out walls, putting up ceiling beams and adding brick to the walls and wood stoves. Pioneer spirit! Cheers on you re-do, it is lovely. I love what you have done with your little ranch home. Your kitchen is a dream!!!!! I can hardly wait to see more photos and read about your renovations. Job well done to the both of you!!! 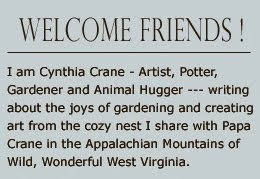 I look forward to seeing your pottery studio too. It looks so pretty and cozy. I cannot wait to see more. Love the before and after pictures! What a beautiful remodel this is! Oh, I know it's lots of work, but the results are always worth it. Anxious to see more as it progresses. Love your transformation. What a difference. I know you will love this configuration and how pretty it turned out. Enjoy! 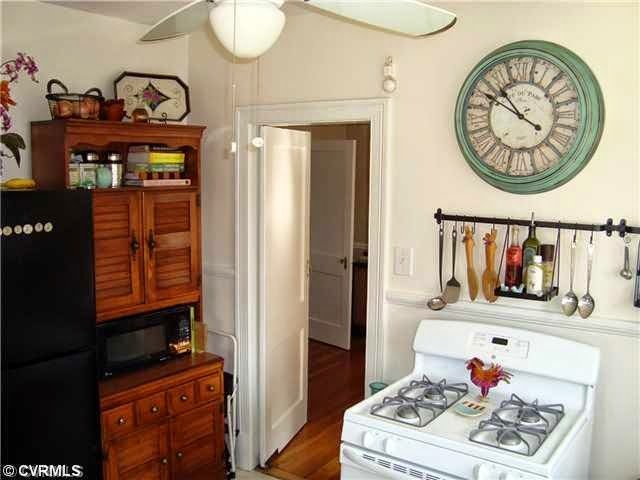 Your new kitchen is so charming and cozy! What a great transformation. We are in the middle of trying to decide what to do about our kitchen and i may have to steal a couple of ideas! 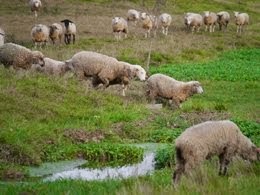 After reading this post, I am ready to drag out the sledge hammer! What a transformation from okay to WOW. I love the sink and the curtains, the shelves under the cabinets, the island, the sitting room/den off to the side, how you removed walls and added new ones......I wish you lived next door, what an inspiration you are. The blueberry cake has my mouth watering. 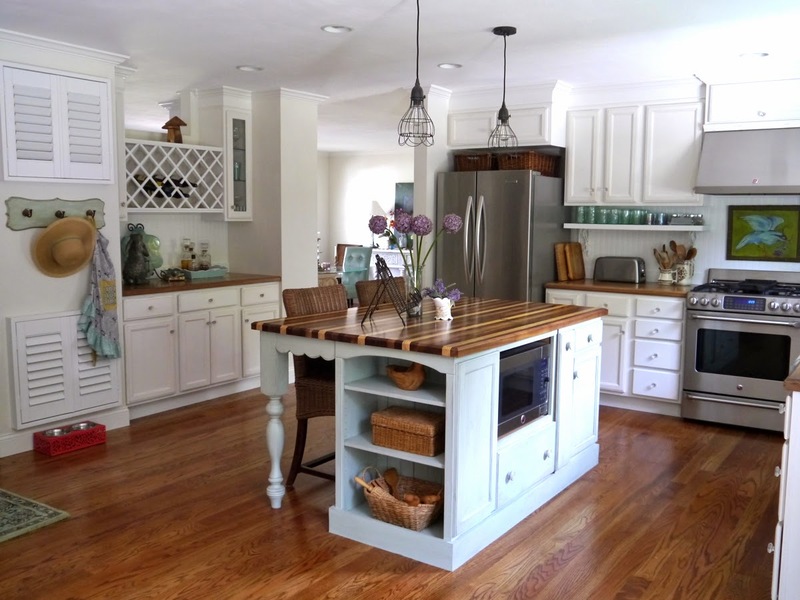 A pottery studio using your existing kitchen cabinets, sounds like a win-win situation. 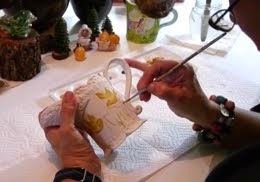 I can't wait to see the photos of your creative pottery studio. oh my oh my oh my - I love it. That is my kinda kitchen. Beautiful. Thank you all so much for your lovely comments! I'll try to get another post up soon with more details on the individual projects! Stunning, absolutely stunning. 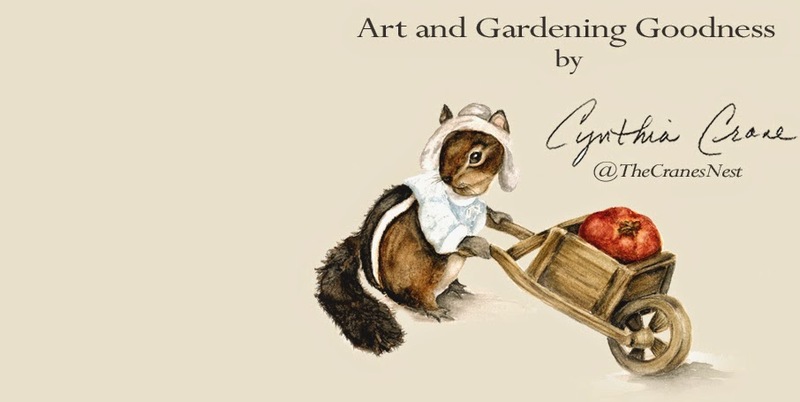 You are a terrific decorator, Cynthia. 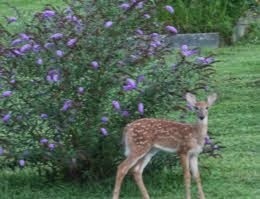 Thanks so much for introducing yourself to me :) I'm now a follower, hoping we'll get to know each other better! 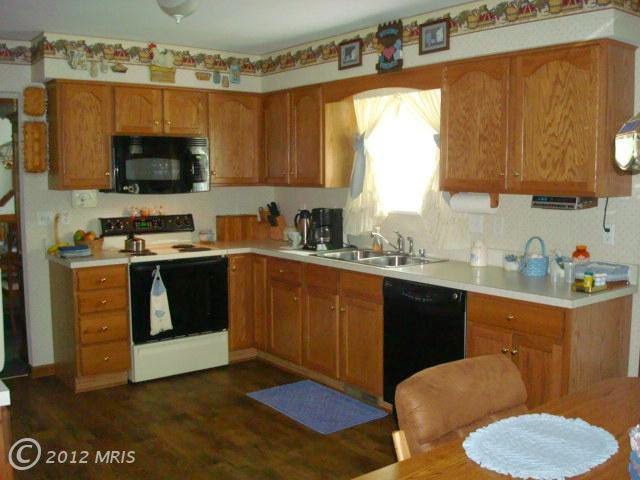 Your kitchen remodel is just delightful, I wish I had that kind of space. Lovely!! And I like blogs that talk about a lot of different things. Love your pottery too! The kitchen looks beautiful!! We are starting on our kitchen next week. You know I love everything that you do, and once again this is amazing! 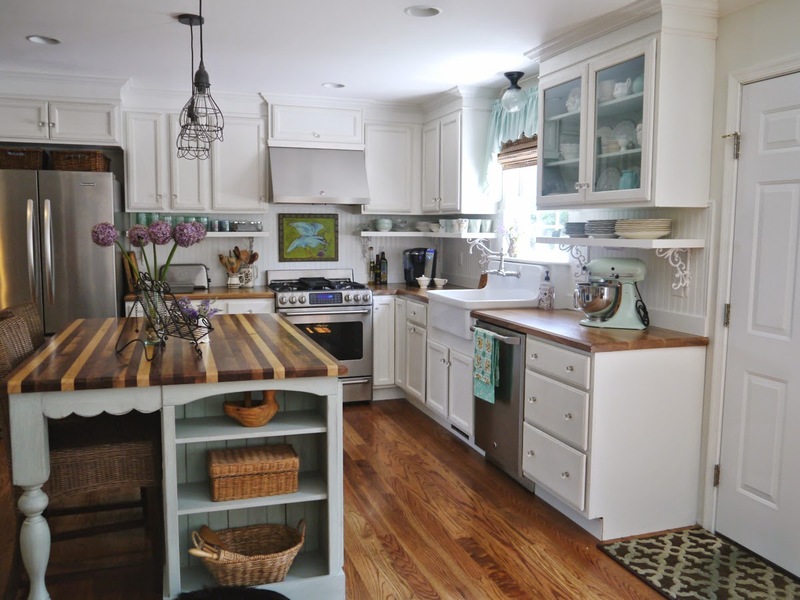 I think this is a beautiful, cheerful, kitchen with so much of your personality every where. I miss you.